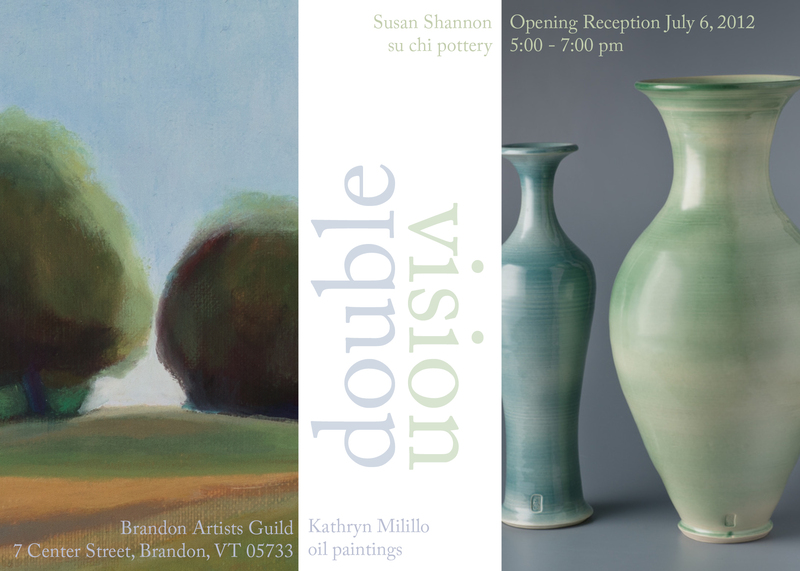 Susan Shannon and Kathryn Milillo will be the featured artists showing at the Brandon Artist Guild gallery in July and August. 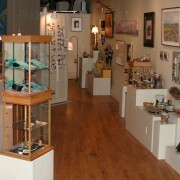 Two artists with concurrent visions of colors and form: lucid, simple and clear. Susan Shannon’s clay formations entice observers to linger over undulating lines and saturate themselves in tranquil colors. To this ceramic artist, the meditative path a vessel turned on the potter’s wheel follows is an undulating pulse. This pulse travels down a spiraling path reaching inner spaces. Listen and feel around this quiet stillness at the bottom of the vessel and one will find the way back out again. This archetypal journey provides an avenue for connection to the essential self, finding answers to questions or simply respite from a bustling world. Kathryn Milillo’s oil paintings express her pure love of color and light. She paints about the quiet moments when solitude becomes a dear friend. With a love of language and graphic design, her paintings of Vermont barns and landscapes present a meditative inner world. In her still lifes, the anthropomorphic qualities of objects become short character sketches, observed with kindness, honoring the human condition. Playing with light and dark, color complements and negative spaces, her aim is to create a visual poem.